"The Captain's Locker" our en-suite room. 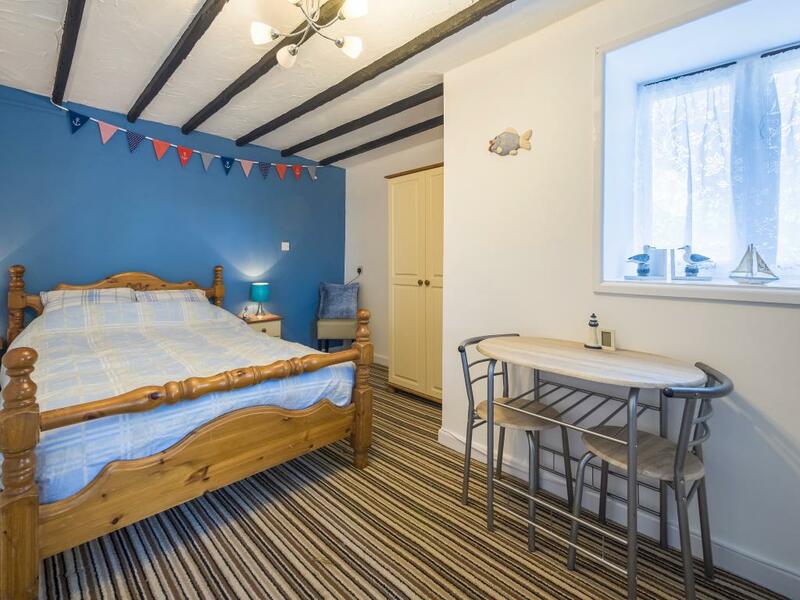 it comes equipped with a flat screen TV with Freeview, Tea & coffee making facilities and an en-suite shower room. Fresh bed linen, towels and an available travel cot. 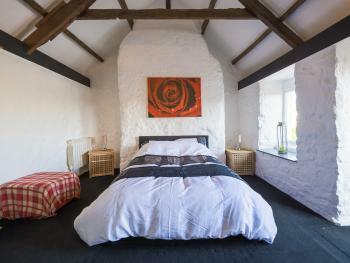 "The Lookout" our en-suite room is, an old hayloft, with lovely high vaulted ceiling and exposed beams. 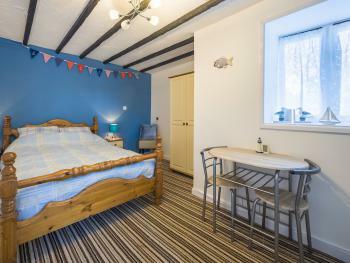 it comes equipped with a flat screen TV with Freeview, Tea & coffee making facilities and an en-suite shower room. Fresh bed linen and towels The Lookout is an upstairs Suite accessed by original steep stone stairs, which may not be suitable for some guests.